Metroland closed in April 2008 and sadly I never had the chance to visit with my own children. 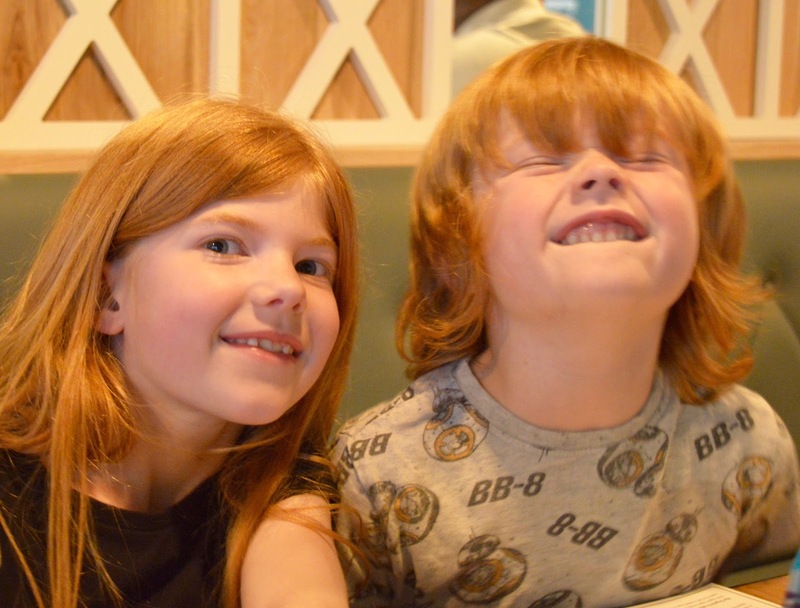 We are frequent visitors to intu Metrocentre but I don't think I've even mentioned to H, H and J that it was once home to Europe's largest indoor amusement park. We visited the centre's newly refurbished Pizza Express last week which pays tribute to the much-loved rollercoasters and rides and this provided the perfect opportunity for Steve and I to re-live our memories of what had to be the best day out in the North East for older kids and teens in the 90's and 00's. My memories of Metroland are all very happy ones. I remember being dropped off by my parents on many a weekend and nothing would beat the excitement of going up the escalators towards Metroland with my friends. We'd queue up at the ticket arch with our money to buy unlimited ride wristbands that would allow us access to ride in the park all day. My favourite ride was definitely the swings and you really did feel as if you were flying and the views of the fountains and across Metroland were fantastic. At the time, the Metroland rollercoaster was the scariest ride I'd ever been on and I remember racing other kids to get the front or back seat and then as soon as the ride had finished we'd jump off, run around Metroland and join the queue to ride over and over again. Other favourites included the iconic balloons, the castle-themed adventure play area, a pirate ship boat and of course the dodgems too. There were often special weekend roadshows there too and I remember the one time we decided to join in with karaoke very clearly - it was one of the most embarrassing times of my life! We picked 'Calendar Girl' naively (and stupidly) thinking it would be 'Girl for all seasons' from our all time favourite movie Grease 2. Of course, when we took to the stage it was Calendar Girl by Neil Sedaka which at aged 10, we had never heard of before. Oh I still remember mumbling along to the words in embarrassment in front of a packed Metroland audience now! All character-building stuff. As Steve and I recalled our memories of Metroland over pizza, H, H and J honestly did not believe us that there was once a rollercoaster in the exact place we were sitting. I had to google some pictures to prove we weren't twisting their arm! 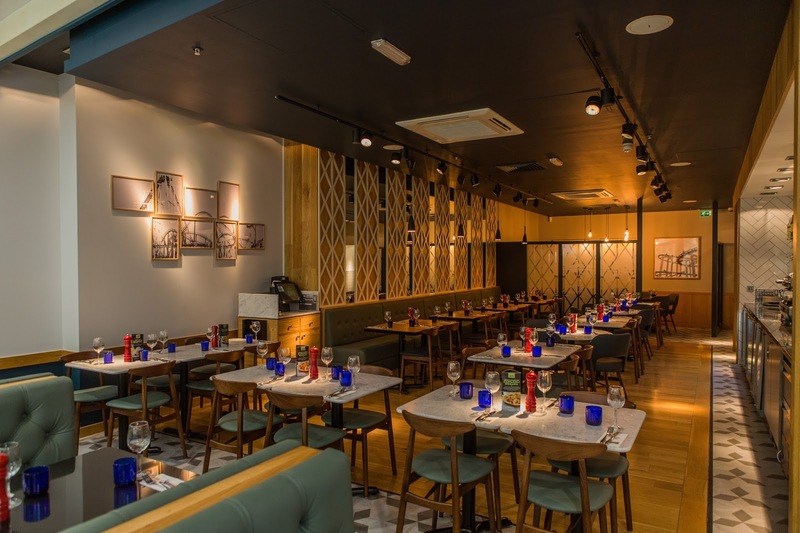 The newly refurbished Pizza Express can be found in the Qube (next to Odeon) area of intu Metrocentre. 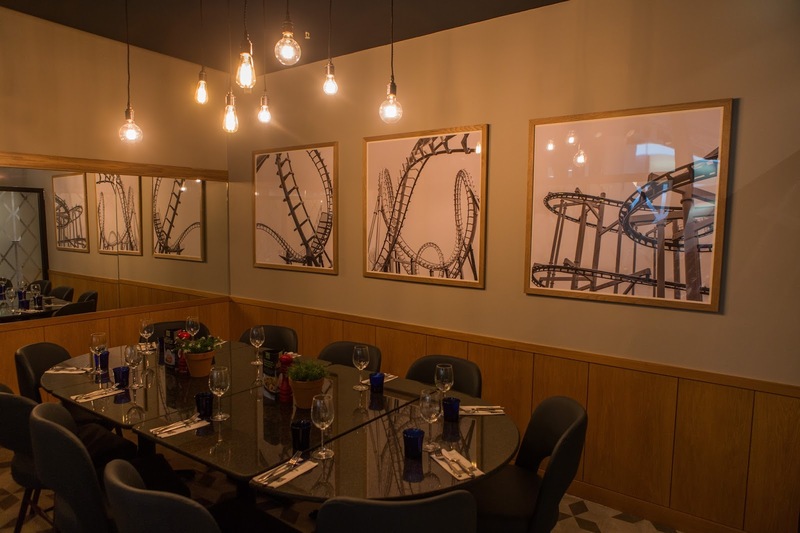 The restaurant's new look draws inspiration from the famous Metroland rollercoaster with a patterned tiled floor, laser cut screens and rollercoaster-themed artwork on the walls. 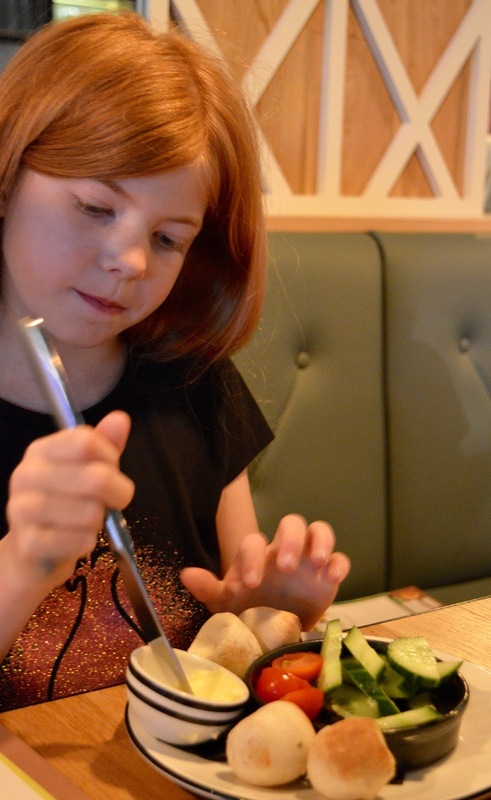 The restaurant was super busy on the evening of our visit (a Friday night after school) but the staff were all super attentive and service was speedy which is always a top priority for me when dining with kids. The whole place was packed with families and it was fairly noisy so I probably wouldn't recommend 5pm on a Friday as a good time to visit for a date - you might want to save that for a little later in the evening. 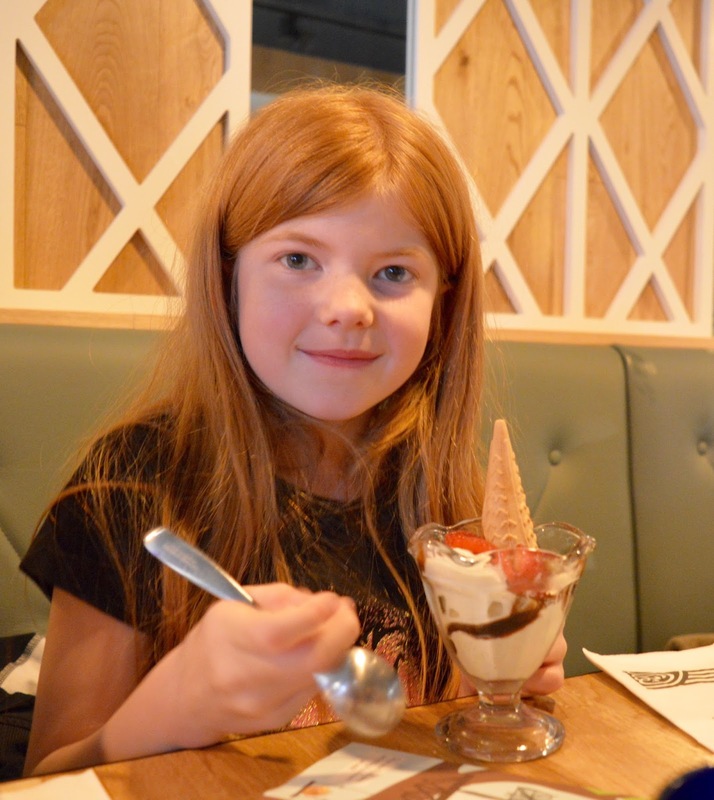 If you are dining with kids though, early evenings here are perfect. 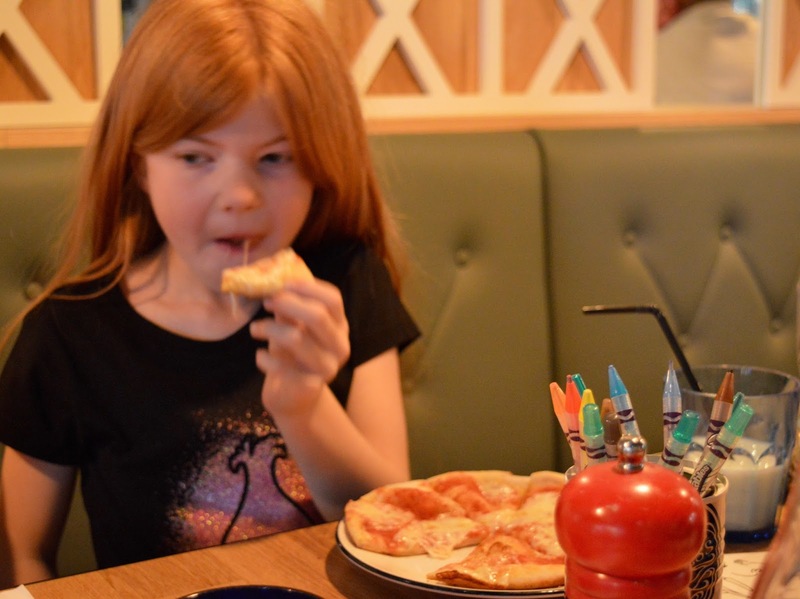 The children's menu at Pizza Express is £6.95 for 3 courses which isn't a bad price - sometimes we do find it better value to use our Taste Cards and order 2 for 1 pizzas from the main menu between the three of them. 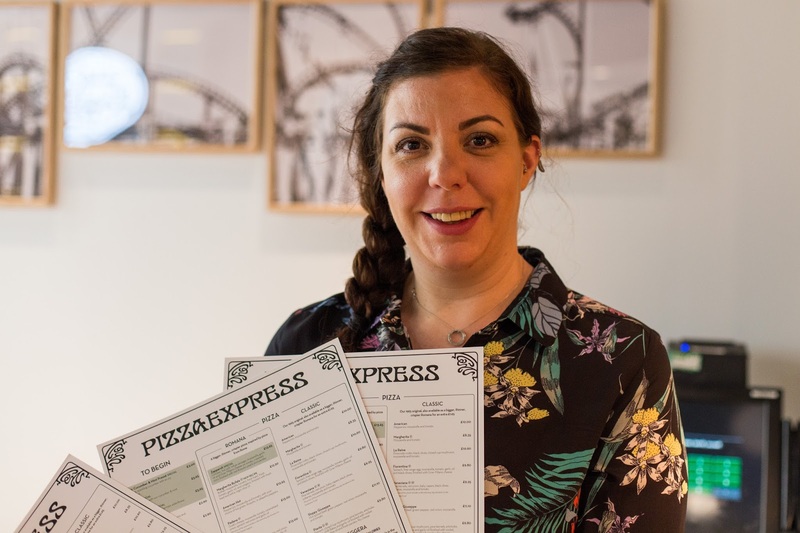 You can also find a range of Pizza Express offers here. H, H and J adore dough balls and they were quickly devoured. Steve and I decided to share the new Cod Croquettes which were excellent value at £5.95. 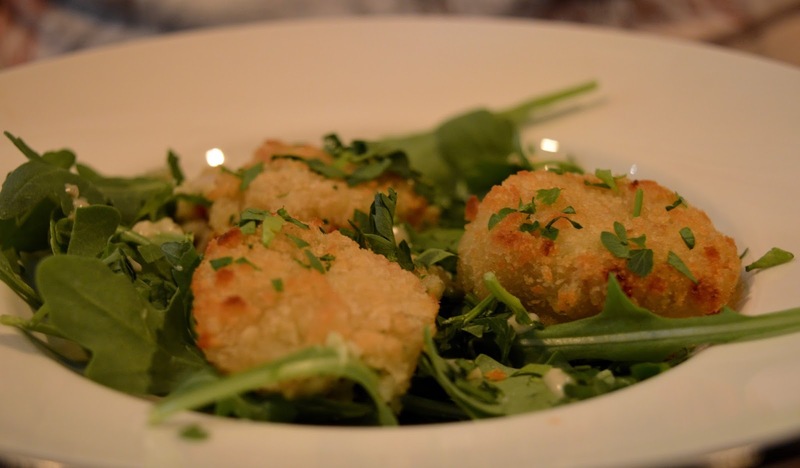 As part of the new Spring Specials at Pizza Express these were nice and creamy with a bit of a kick. 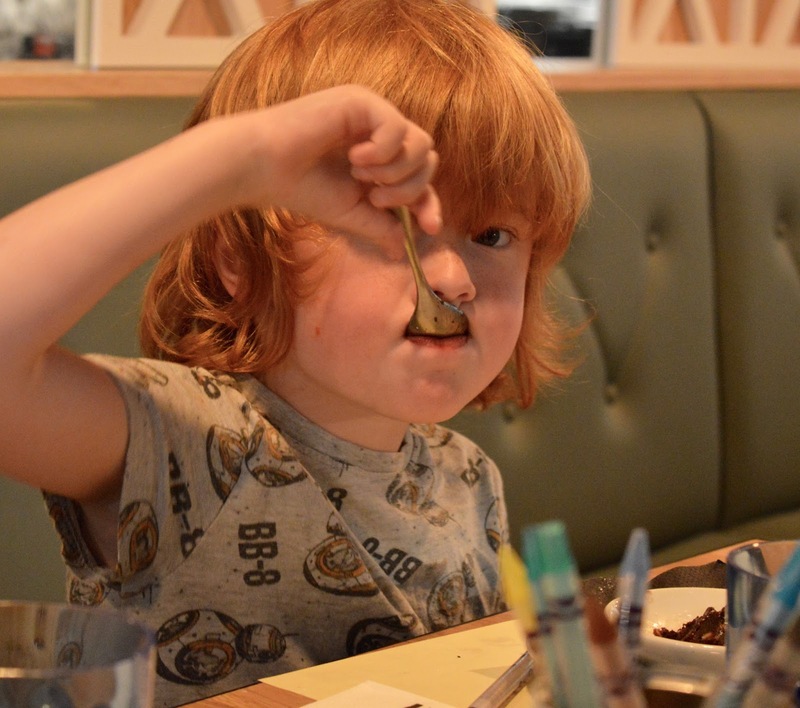 What I love about Pizza Express is that there are options for everyone. 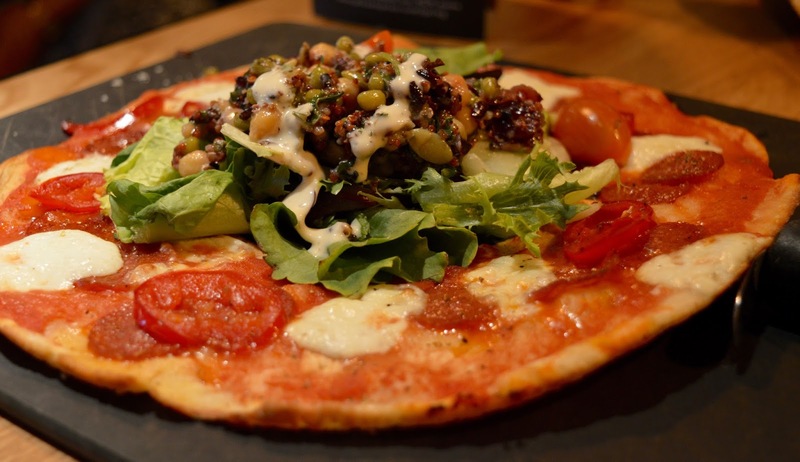 They have a fantastic Gluten-free menu and cater well for Vegans and those who are dairy free (check out Canny Food's review here). I am trying to lose a few pounds at the moment so decided to order the Leggera American Hot which is a pizza with under 600 calories. Those extra calories are partly lost because the middle of the pizza is removed. I decided to add a superfood salad to my dish and I have to say, it was all very fulfilling and tasty. I added the hottest chilli's to my pizza and it certainly tickled my tastebuds. 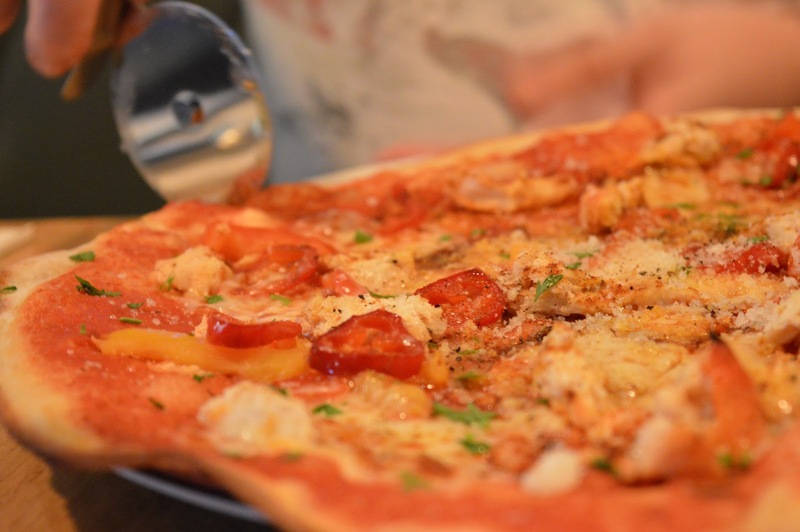 If you're watching your weight but still crave pizza, I recommend giving this combination at Pizza Express a try. Steve ordered the Pollo Forza. The servings certainly aren't shy at Pizza Express and Steve's pizza was huge. Featuring chicken in smoked garlic and chilli oil, peppers, mozzarella and tomato, it was certainly satisfying and a lovely Friday night treat. Between courses, the kids were happy to complete the puzzles and wordsearches provided by the restaurant. I had one of those moments where I noticed Jack was sitting without any parent helpers next to him and he just sat independently completing his puzzles by himself. 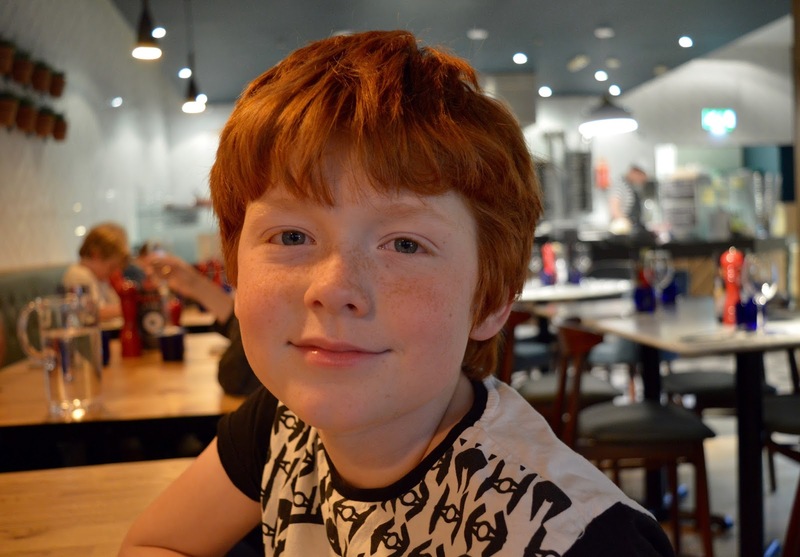 When did he get so grown up? It doesn't seem like 2 minutes ago he would have simply scribbled on the paper provided. Onto dessert and again our order was taken straight away which I always appreciate. Warm chocolate brownies for the boys and a strawberry ice cream sundae for Heidi. Perfect! Steve and I ordered a mini dessert and espresso each which was a nice way to end our meal without feeling guilty about the calories. 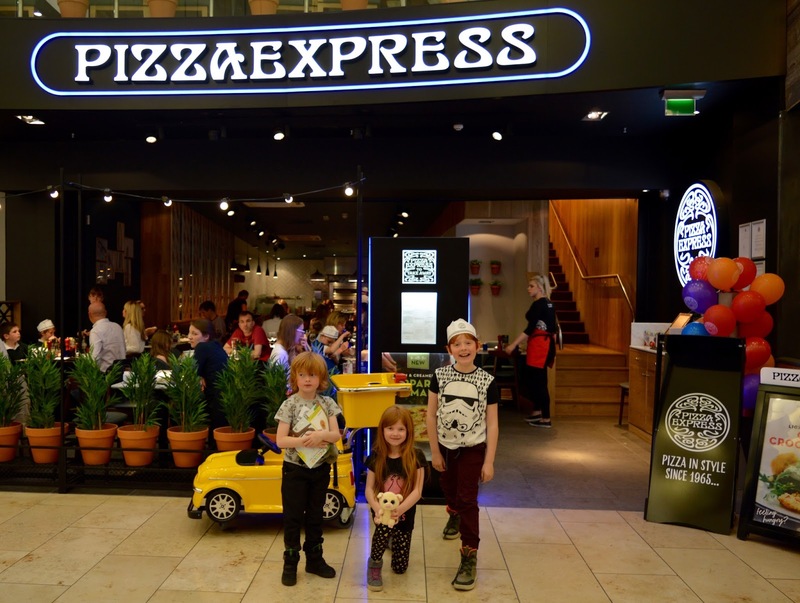 You can't beat a Friday family night trip out for pizza as a treat and for us, the newly refurbished Pizza Express at intu Metrocentre ticks all of our boxes and it was nice to take a trip down memory lane and remember spending time at Metroland as a child. Next time you visit, look out for the artwork and perhaps have a chat with your own children about your own memories of Metroland. They'll probably not believe you, so make sure you save this post to show them the photographic evidence. 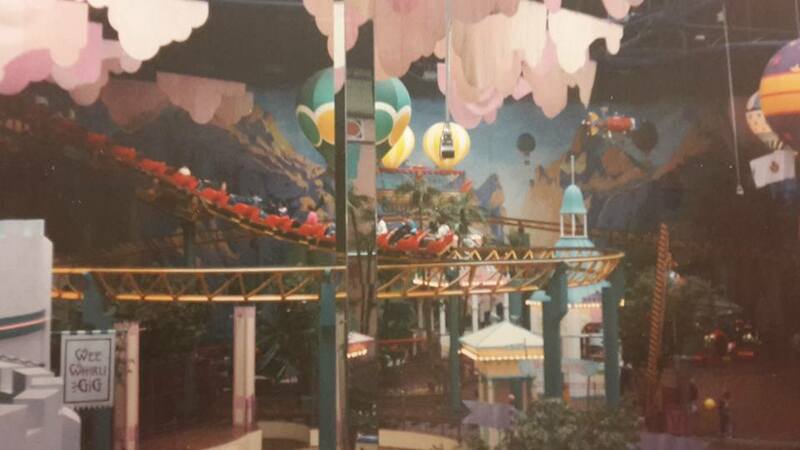 Let me know if you have any favourite memories of Metroland.